This is the biggest Macan recall yet and includes more models than have been sold in the US. 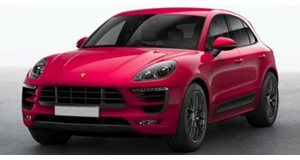 With a little over 40,000 units sold in the US since its inception, the Porsche Macan has been a boon to the automaker, which was once hardly large enough to match the production output of Mercedes’ in-house tuner, AMG. It would be a shame if something went wrong to mar Porsche’s name while on its Macan high horse, and as we’ve learned through the automaker’s latest recall, a faulty fuel pump threatened to do just that. To save its reputation from going up in flames, the German automaker has issued a recall for 52,000 Macan SUVs. As you’ll note, this means more Macans are being recalled than have even been sold in the entire US. The affected units were built between March 4th 2014 and April 14th 2017, a time span that encapsulates most of the vehicle’s production run. The issue surrounds a filter flange in the fuel pump that could spring some hairline cracks and allow fuel to seep out. As dangerous as it sounds, Porsche is claiming that the only issue that arises due to the problem is the odor of fuel surrounding the vehicle. In our minds, this could prove to be a bit dangerous for smokers, but it shouldn’t constitute much more than a displeasure and a few dead brain cells for everyone else. Porsche claims that no injuries or issues have arisen from the problem. Those affected by the recall, which could potentially be every Macan owner in America, need to take their SUVs to the dealership where a technician will inspect and, if cracks in the fuel filter flare are found, replace or seal the unit to prevent it from happening. With the Macan adding to Porsche’s bottom line heavily, it needs to ensure that it gets things right the first time, especially on its best-selling model. Prior attempts to perfect the Macan after it left the factory include a recall last October to quell the potential for unintended oversteer as well as a 2017 recall to fix faulty passer occupant detection sensors that could fail and deactivate the airbag. With Porsche having climbed to the top of the most recent quality rankings, it pays to invest in making sure the Macan is at the top of its game to keep its first place spot.